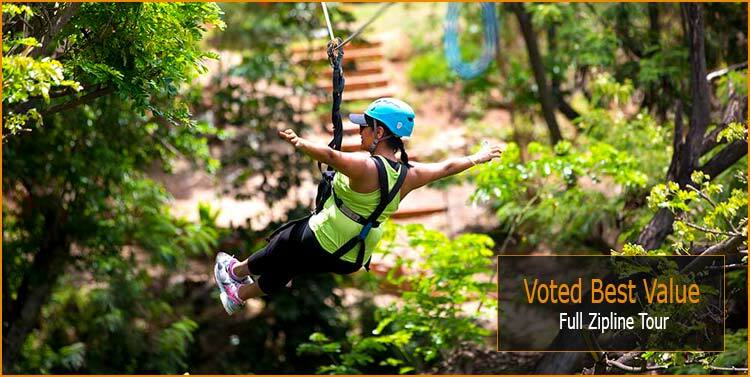 A fast 60 minute zipline adventure and perfect start to your day. For all those who are looking to share a special kind of thrill with their family or friends, Coral Crater Adventure Park has just the thing. Get your fill of adrenaline as you rush down some of the most exciting ziplines on Oahu. Our signature tour includes our three favorite lines. With a range between 300 and 900 feet, they offer a heart-pounding ride that can reach speeds up to 35mph! Soar high above the magnificent landscapes of Oahu in a safe and fun environment. Only a short drive from Honolulu, Coral Crater is the most exciting day trip destination for families in search of unforgettable experiences, or couples looking for an adventure they’ll relive over and over again. 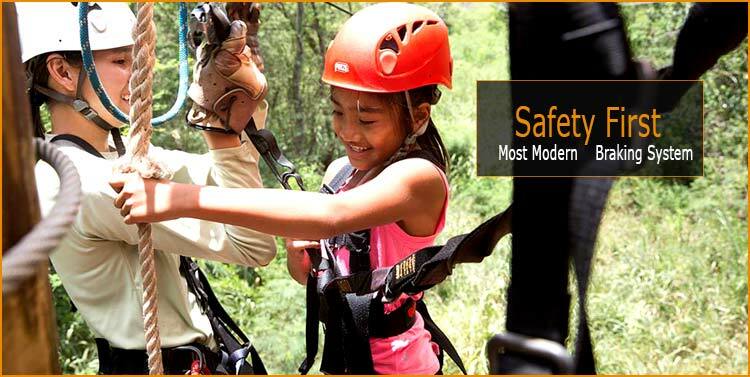 Coral Crater is home to some of the most modern and safest ziplines you will find in the islands. All of our ziplines are equipped with an automatic braking system. This means you won’t have to worry about braking or slowing down your ride. Even first-timers get to fully enjoy their experience when technology provides a controlled and safe rush down the line. To make sure you have all the safety equipment needed and no questions are left unanswered, your expert guide will be with you every step of your tour. Treat yourself to this worry-free adventure. For a safe experience, please make sure to wear closed-toed shoes during your tour. Comfortable clothing such as mid-length shorts or long pants and jogging shoes are ideal. Avoid large jewelry and tie up long hair. Sunblock is advisable, as this is a tropical outdoor activity. Be ready for about 75 minutes of action. See you soon at Coral Crater!